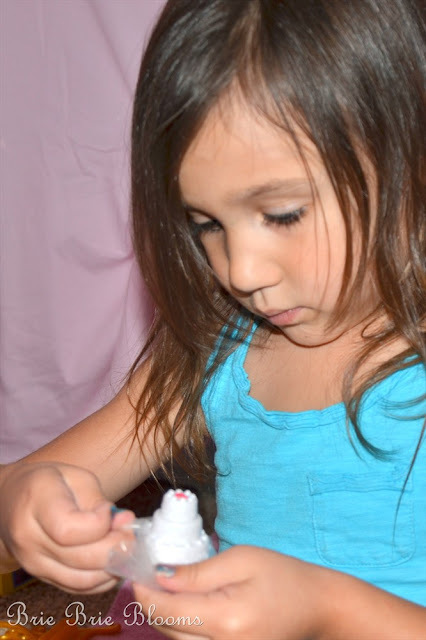 Last week I shared the fun I had shopping with my daughter for her Disney Princess birthday gifts. Our Mother/Daughter Shopping experience was great and the products we brought home have been so much fun for both of us! 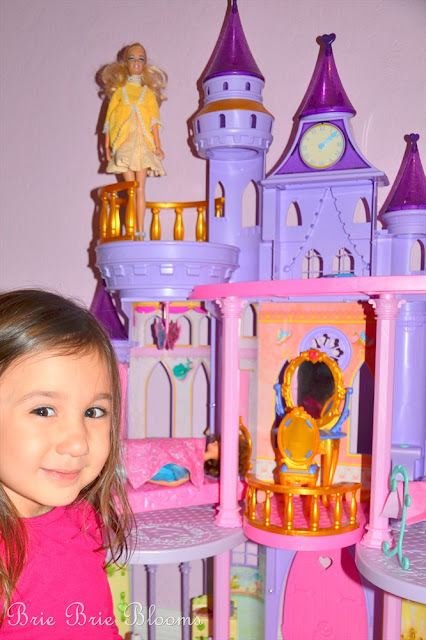 Having the Ultimate Dream Castle in her bedroom has completely intensified her love for the Disney Princesses! My daughter wanted to put the castle together the second we walked it into our home. She has had the castle on her birthday and holiday wish list for a long time and she couldn’t believe we actually had the box in her bedroom. Waiting to put it together would have been horrible for both of us so we ripped open the box and had the new castle complete before my husband was home from work. The castle structure was not difficult to piece together because of the detailed instructions. 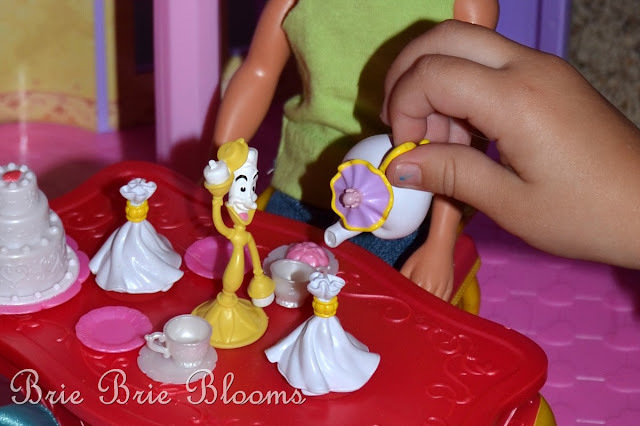 The castle comes with a lot of very small and ridiculously cute accessories for the Princesses. My daughter worked on the little pieces while I put the big parts together. With teamwork we had the castle completed in less than an hour. 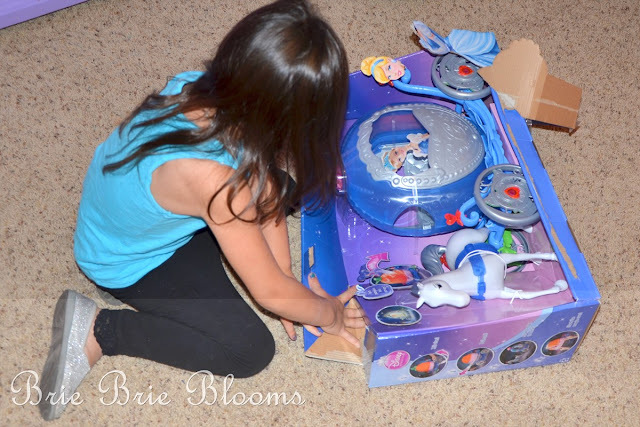 My daughter was also extremely excited to open her new Cinderella Transforming Carriage. The carriage required no assembly and she started playing with it immediately! 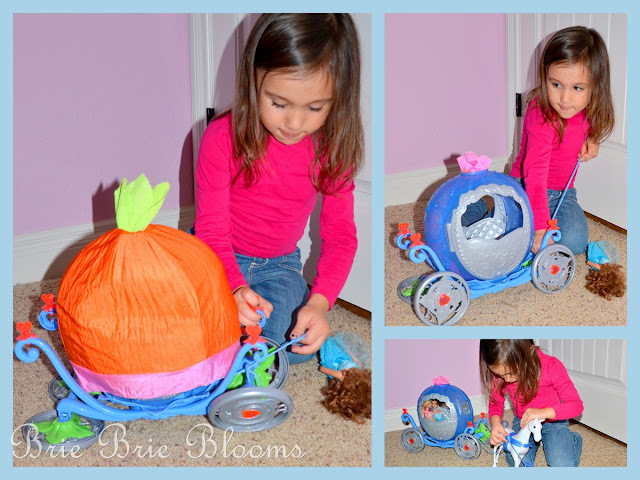 She can easily transform the pumpkin to a carriage by herself and is very enthusiastic every single time she asks me to watch the magic. I have really enjoyed watching her play with dolls in the castle. Sometimes she lets me play with her but other times she wants to play on her own. I’m not sure which I prefer. Playing with princesses in a huge castle is so much fun! We do not own any of the Disney Princess dolls yet so we have been using other dolls from her playroom to play in the castle. The castle has so many fun features. One of my daughter’s favorites is the magic carpet elevator. Tea parties in the castle kitchen have been keeping us busy. 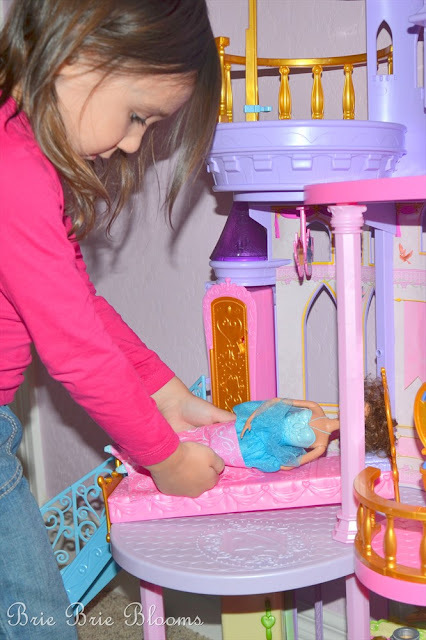 The Ultimate Dream Castle and Mattel Cinderella Transforming Carriage were perfect holiday gifts for my daughter. The castle has been on her wishlist for a long time and I wasn’t sure if I wanted to make the purchase this year. I am so happy we did! She has been playing with the castle every chance she gets. I have enjoyed watching her get so excited to twirl her dolls around and pretend like they are princesses. 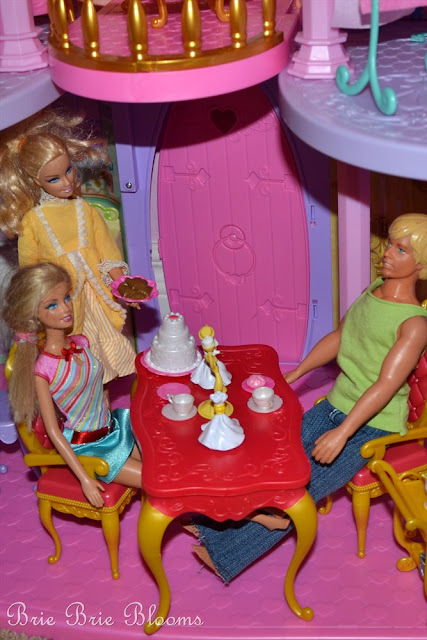 I can’t remember when I stopped playing with dolls in dollhouses but I’m sure it was well beyond my fourth birthday. I’m confident the castle will be something she continues to play with as she grows. Just as I can remember my first big dollhouse, I’m sure she will have childhood memories of this castle. We have added a few Disney Princess dolls to our holiday shopping list! We already have purchased the new Cinderella Blu-Ray/DVD but I’m not sure I can keep hidden before Christmas much longer! For more information and fun, connect with Social Channel, Wal-Mart, and Disney online!